We call, above all, for effective collaboration, for volunteering, for the awareness of society. We are aware that only citizens' education, through the promotion of awareness-raising actions, can greatly contribute to reducing cases of animal abandonment in our country. There are several ways to help us other than being a Partner or adopting an animal. 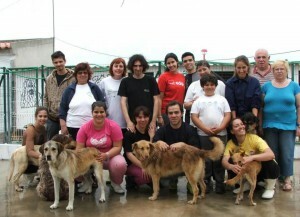 You can help in our kennel by cleaning our dogs or walking our dogs. You can also donate food, medicine or money. Or still being a Temporary Host Family. Your support is essential! Learn more about how you can help by visiting the links below.